The ninth recorded perihelion passage of Halley's Comet occurred. Charles Messier presented his original list of 45 M-objects to the French Academy. C. H. F. Peters discovered asteroid #213 Lilaea. The American Society of Mechanical Engineers was formed in New York City, the first meeting held in the editorial offices of the American Machinist with thirty people in attendance, chaired by prominent steel engineer Alexander Lyman Holley. A. Charlois discovered asteroid #305 Gordonia. A. Kopff discovered asteroid #585 Bilkis; and J. H. Metcalf discovered asteroids #602 Marianna, #603 Timandra and #604 Tekmessa. J. Palisa discovered asteroid #728 Leonisis. M. Wolf discovered asteroid #927 Ratisbona. Y. Vaisala discovered asteroid #1391 Carelia, #1454 Kalevala, #1448 Lindbladia and #1479 Inkeri. 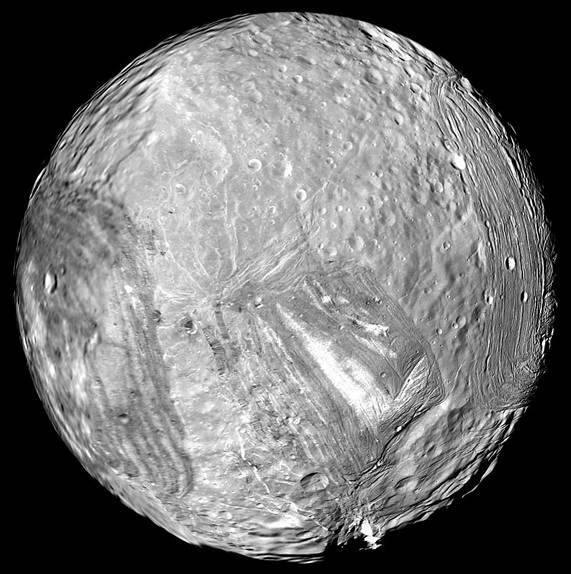 Uranus' moon Miranda was discovered by Gerard Kuiper. "The origin and evolution of [its] varied geology ... are still not fully understood, and multiple hypotheses exist ..."
The first successful launch from Wallops Island, Virginia, Explorer 9, was the first satellite put in orbit by an all-solid fuel booster. Explorer 9, launched 16 February 1961, was the first spacecraft placed in orbit by an all-solid rocket, and the first spacecraft successfully launched from Wallops Island. It was the first in a series of 12 foot (3.66 m) inflatable spheres successfully placed into orbit for the determination of atmospheric densities. The spacecraft consisted of alternating layers of aluminum foil and Mylar polyester film. Uniformly distributed over the aluminum surface were 2 inch (5.1 cm) diameter dots of white paint for thermal control. The sphere was packed in a tube 8.5 inches (21.6 cm) in diameter and 19 inches (48.3 cm) long and mounted in the nose of the fourth stage of the launch vehicle. Upon separation of the third and fourth stages, a nitrogen gas bottle inflated the sphere and a separation spring ejected it out into its own orbit. The two hemispheres of aluminum foil were separated with a gap of Mylar at the spacecraft's equator and served as the antenna. A 136 MHz, 15 mW beacon, powered by solar cells and rechargable batteries, was carried for tracking purposes. The beacon failed on the first orbit, so the SAO Baker-Nunn camera network had to be relied upon for tracking. Explorer 9 reentered the Earth's atmosphere on 9 April 1964. USSR selected five women as cosmonaut candidates, including Valentina Tereshkova who became the first woman in space. NASA launched Pegasus 1 to detect micro-meteors in the first test of the Apollo/Saturn operation and compatibility. Felix Aguilar Observatory discovered asteroid #2548 Leloir. The first computer bulletin board system was created (Ward & Randy's CBBS in Chicago, Illinois). Bulletin board systems were a popular predecessor to Web sites before the Internet became readily available. M. Mahrova discovered asteroid #3492. S. Inoda and T. Urata discovered asteroid #3394. An annular eclipse was visible over the Indian Ocean and Australia. NASA STS 98 (Atlantis, 102nd Shuttle mission) undocked from the International Space Station after delivering the Destiny Lab module.